The case, which is being brought jointly by the two attorneys general, argues that Trump violated the U.S. Constitution’s foreign emoluments clauses by benefiting from the patronage of foreign dignitaries at the Trump International Hotel, which is located just a few blocks away from the White House. 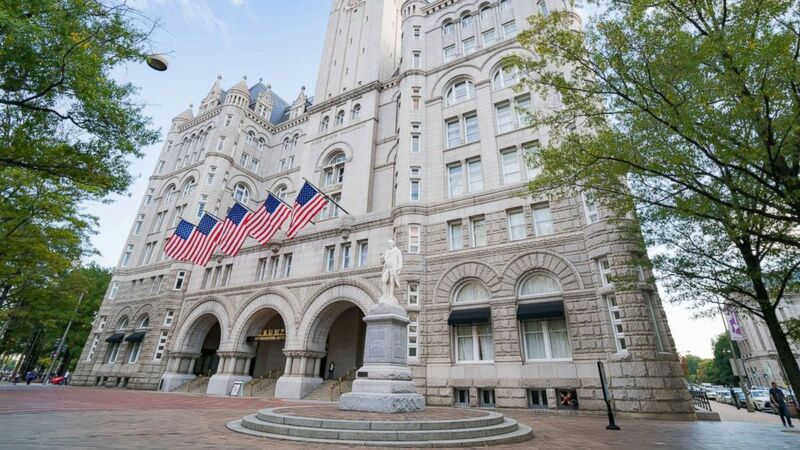 The hotel is at the center of a protracted legal battle as opponents have argued that foreign officials who patronize Trump’s D.C. property may be currying favor with the president. The Constitution’s two so-called emoluments clauses prohibit federal officials from accepting gifts or profiting from a foreign or domestic government. Tuesday’s case is one of three such cases brought against the president related to this issue. “You filed the lawsuit and you don’t even know what real-world relief would satisfy. You seem to be ducking the question” he said. Attorneys for the president argued on Tuesday, as they have in the past, that foreign dignitaries simply “prefer the Trump brand” and are not seeking special treatment with the president when visiting the Trump Hotel. The hotel also sees its fair share of foreign government officials. Dignitaries from Bahrain, Azerbaijan, Nigeria and South Korea have all been spotted in the hotel, and just last month the hotel hosted the Kuwaiti embassy’s national gala. Attorneys for the president asked that one of the other cases, brought by members of Congress, be dismissed. A judge in that case found that the members of Congress have standing for the suit, and is currently considering other elements of the president’s motion to dismiss. The other emoluments case, brought by a government watchdog group, was dismissed and is currently being appealed.